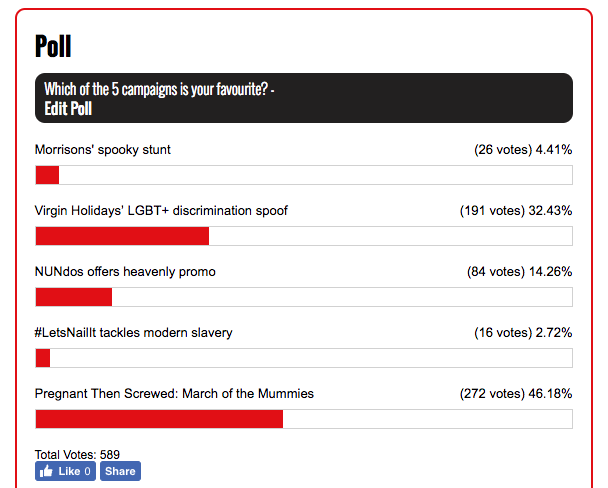 A ding-dong battle between PRWeek's five favourite campaigns in October was eventually edged by campaign organisation Pregnant Then Screwed, with March of the Mummies garnering nearly half (272) of the overall votes. The group supports pregnant women and those on maternity leave. In second place, with nearly 200 votes, was Virgin Holidays' spoof film, co-created by PR agency One Green Bean and media company ATTN, which highlighted the discrimination faced by LGBT+ couples on holiday. 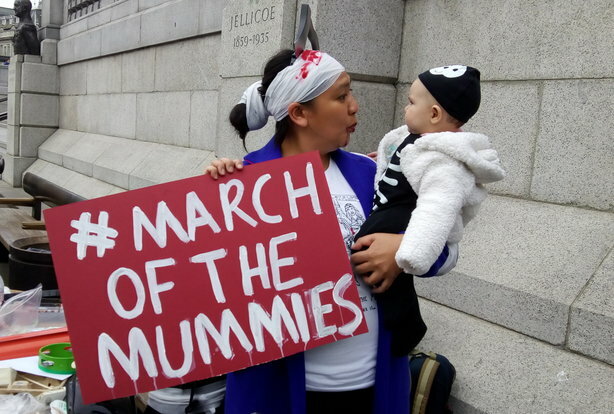 Campaign organisation Pregnant Then Screwed descended on Trafalgar Square and multiple locations around the UK on Halloween for the aptly named March of the Mummies. Around 1,000 people (some dressed in Halloween outfits) turned out in London, Manchester, Newcastle, Cardiff, Belfast and Glasgow. The group says pregnant women and those on maternity leave are regularly discriminated against by employers. Its aims include increasing the time limit on a tribunal claim from three to at least six months; requiring firms to report on how many flexible working requests are made and granted; and introducing subsidised childcare from six months old rather than three years. 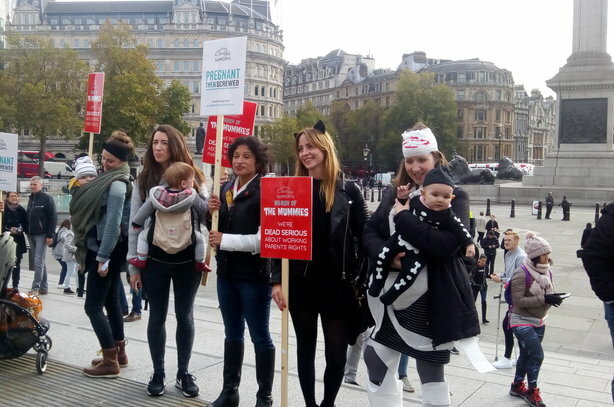 A host of celebrity and political speakers attended the London event, organised by PTS’s Joeli Brearley, including Green MP Caroline Lucas; Sophie Walker, leader of the Women’s Equality Party; and former Blue Peter presenter Helen Skelton. Campaigners handed a delegation of MPs a petition with their demands at the end of the event. Which retailers' campaigns are crackers and which are turkeys (so far)?